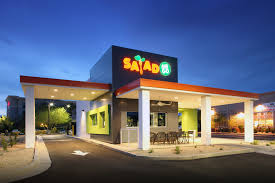 The Salad and Go Store Manager builds a strong team of top performing team members who contribute to the overall success of the company. Oversees and directs the Operations, Training, and Development activities. Creates and maintains a positive, supportive environment through building a strong culture. The Store Manager is able to accomplish this by having open communication throughout the company. Oversees training programs for store management personnel, including new procedure rollouts. Oversees career development plans (including utilizing key performance indicators, performance review process and succession planning process) for all key store management. Strong understanding of drive-thru operations, throughput and executing a great guest experience. Oversees compliance with employment-related policies, including but not limited to, policies prohibiting discrimination, harassment and other inappropriate conduct, wage and hour policies and child labor laws. Effectively manages financial performance, including all weekly and monthly reports, business reviews and monthly profit and loss (P&L) projections. Demonstrates high caliber leadership and the ability to remove obstacles to ensure that stores have the highest standards of service, safety, cleanliness, organization, food quality and ambience. Manages and monitors the compliance of cash handling policies, banking procedures and deposit verifications. Establishes and manages market priorities and objectives, including meeting current sales and profit goals. The passion to work for a great company and help us fulfill our mission. The drive to accomplish goals and the organizational and management skills to get there.